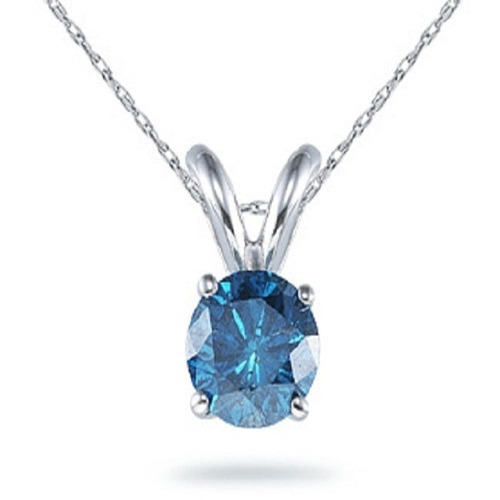 We are successfully ranked amongst the topnotch entity offering a wide range of Blue Color Real Solitaire Diamond Exclusive Pendant. The offered pendant weighs 1.00Cts, which is shaped in round cut. The clarity of the diamond stands SI. This pure form of the diamond is found in the Earth mine. Our diamond professionals provided fine cut on the diamond adhering to industry standards. Provided diamond pendant is embedded using gold having 14Kt. Diamond pendant provided by us stands authentic for quality and reliability.